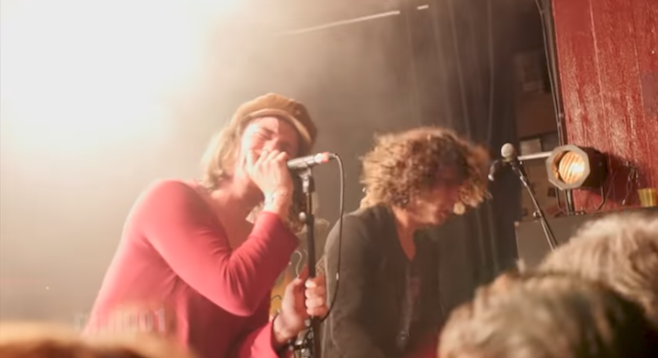 “We actually love them so much, we got them a whole tour in California, so that people can see them,” says Anja Stax, who can be thanked for bringing Les Grys-Grys, often billed as “the wildest R&B band in France,” to town for their first American date. Saturday, August 26, 2017, 8 p.m. The opportunity to pay for the band’s trip to America arose when the Loons were asked to book the garage-band showcase at this year’s Tiki Oasis, held earlier this month. The two-week tour that began in San Diego wraps up when Les Grys-Grys appears with the Loons on Saturday, August 26, at the Space Bar.